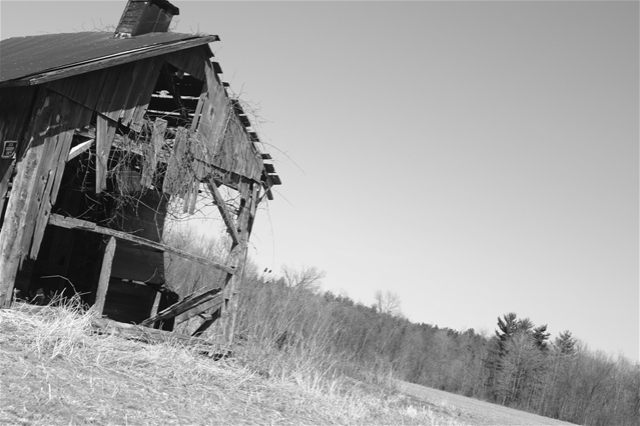 I love the picture I got of this barn. It would catch my eye everytime we drove by it on Marks Road when I was on my way to my brother's. One day I made sure to bring my camera with me and I snapped this shot. This picture was taken in April, when only the slightest signs of spring were showing. We drove by the barn this week and found it covered in green. I wonder if this will weigh down the barn until it is no more?